Whilst the eyes of the world are on London this summer, Tate Britain explores the capital city through the eyes of some of the biggest names in international photography. 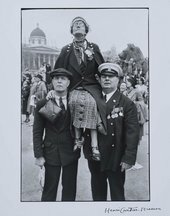 In the years between 1930 and 1980, some of the best-known photographers from around the world came to London to make work about the city and its communities. 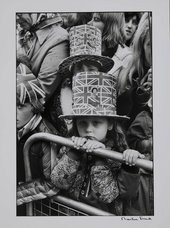 Bringing together 180 classic twentieth-century photographs, Another London highlights the vibrancy of the city as a dynamic metropolis, richly diverse and full of contrast. For these artists London was a foreign city, which they either visited briefly or settled in permanently, and they recorded and represented it in their own unique style and distinctive ways. 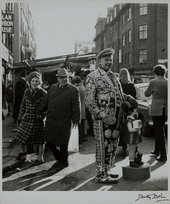 Emblems of Britishness which might have been familiar to visitors such as pearly kings, red buses and bowler hats are documented alongside the urban poor surviving life in the city as pavement artists, beggars and buskers. 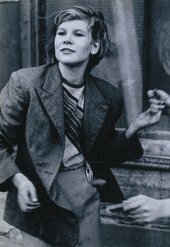 Challenge your own perspective with this rare opportunity to see striking images from renowned photographers including Bill Brandt, Henri Cartier-Bresson, Robert Frank, Dora Maar, Irving Penn and many more. 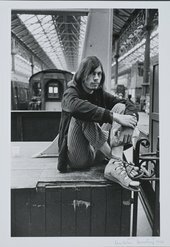 The works in Another London are selected from a unique collection of 1,400 photographs, The Eric and Louise Franck London Collection. It was brought together over twenty years and has been generously promised as a donation to Tate.